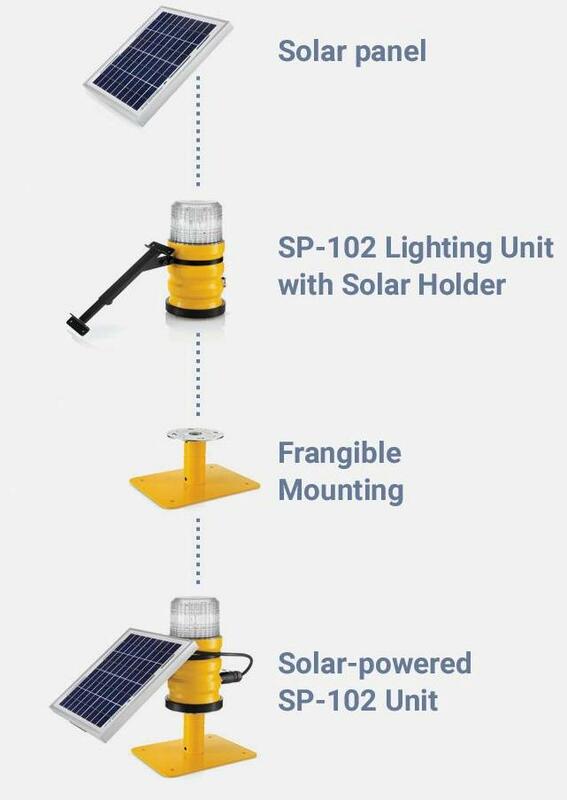 Every SP-102 aviation light can be upgraded* to “solar-powered” version. 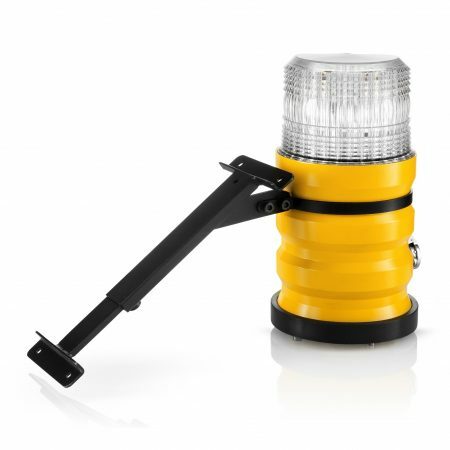 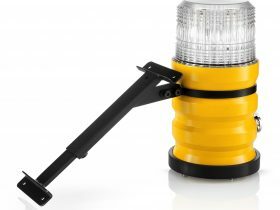 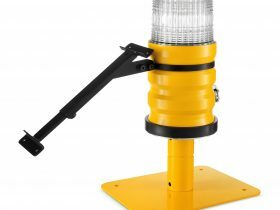 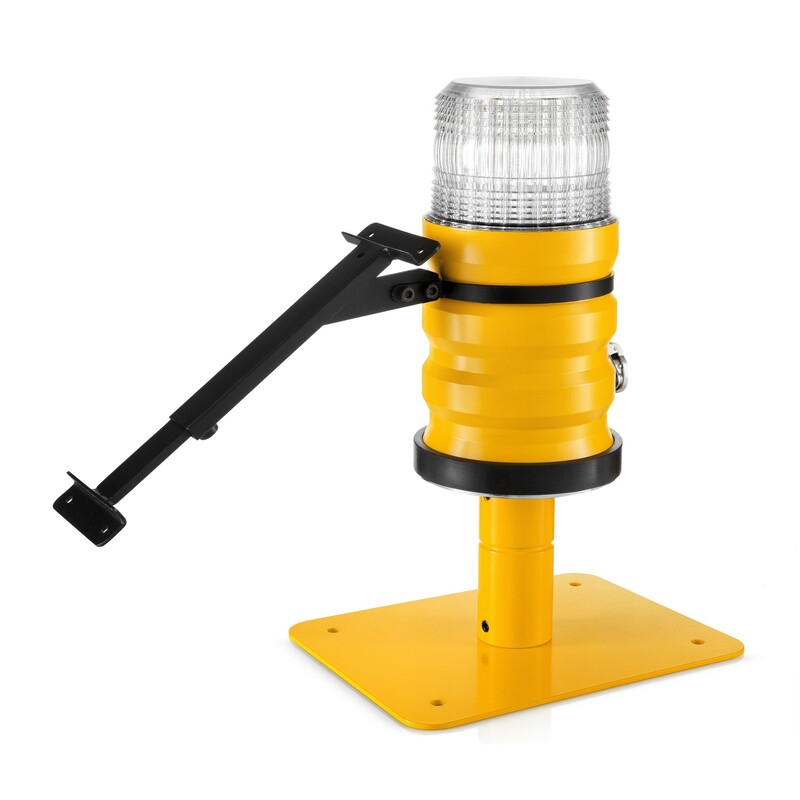 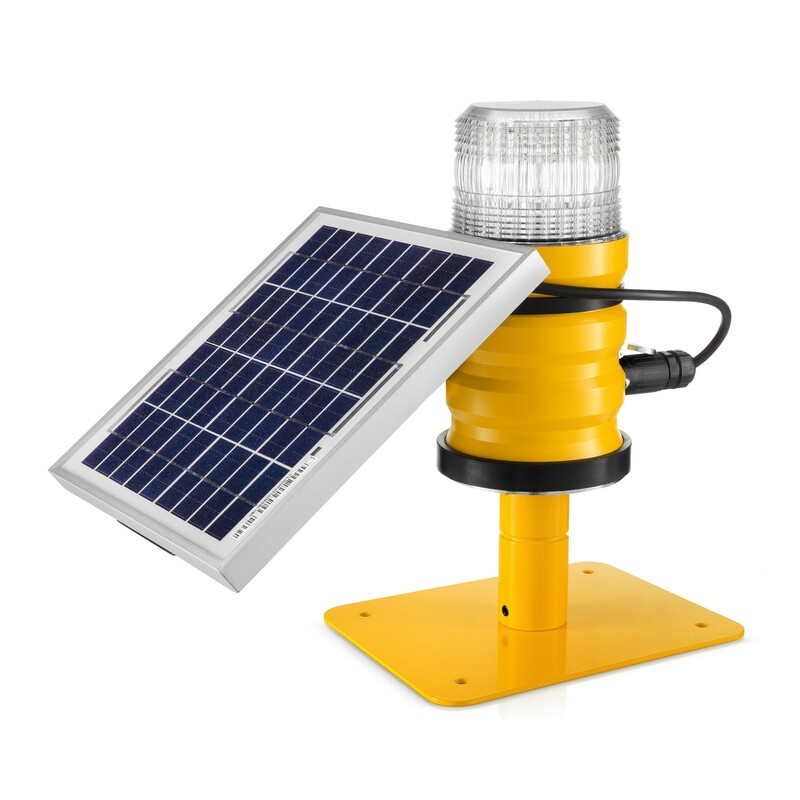 Solar Powered SP-102 light offers full autonomy. 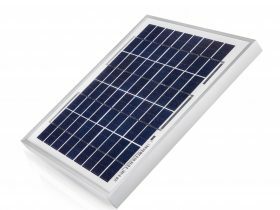 Separately installed powerfull 5W solar panel is 33 degree tilted and also facing one side. This is in order to maximize power generation. 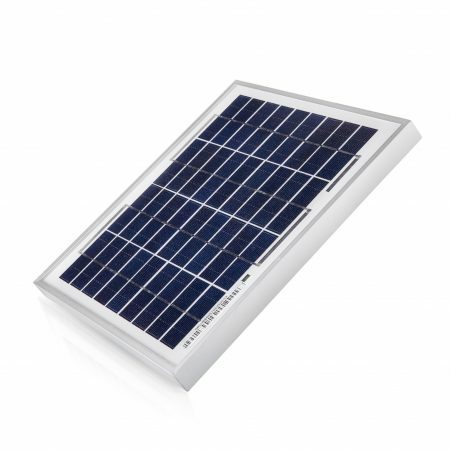 Average charging time is only 8 hrs. 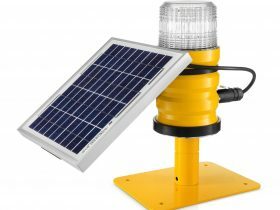 Which means that during one day SP-102 unit is capable to collect enought energy to continue working for the next 36 hrs.